Getting engage is one of the best moments for couple who are totally in love with each other and ready to take their relationship to the next level. It's every woman's dream to wear one lovely engagement ring that symbolizes their love, it may not be that expensive but it brings the elegance and beauty to their finger. MulloysJewelry.com has all the kind of rings you want. 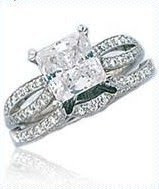 They have this lovely Tacori Engagement Rings; is sure will please your woman. Mulloys Fine Jewelry has the large selection of fine jewelry available at their boutique like tacori engagement rings. All their features jewelry is designed by the following designers; such as Marco Bicego, Konstantino, Scott Kay, Tacori, John Hardy, Roberto Coin and Ritani. Mulloy’s Jewelry is a fine jewelry store located in Carlsbad, California that specializes in designer brands. Right now they have a promotion with their friends and family referral program which gives incentives for referrals. You can earn $100 Mulloys Diamond Rewards when you refer someone. And any qualifying referral purchase over $750 qualifies for $100 Mulloys Diamond Dollars. The friend or family member you refer can receive 10% off their initial purchase as a new customer by simply mentioning the code FRIENDS & FAMILY and your name to one of the customer service representatives to get credit for their purchase. saludo ako sayo tsang kahit busy ka sa J&J meron ka pang time to do business hehehe.. mwah, just wanna see how u doin tsang bakla..